Huawei Mate 20 Lite Full Specifications Listed on TENAA - Playfuldroid! Yesterday, TENAA had revealed the images of the upcoming Maimang 7 smartphone. It is very likely that Huawei will launch the same smartphone as Huawei Mate 20 Lite in European regions. The reason behind it is that after launching the Maimang 6 in China in September 2017, the same phone was unveiled as Huawei Mate 10 Lite in Europe. 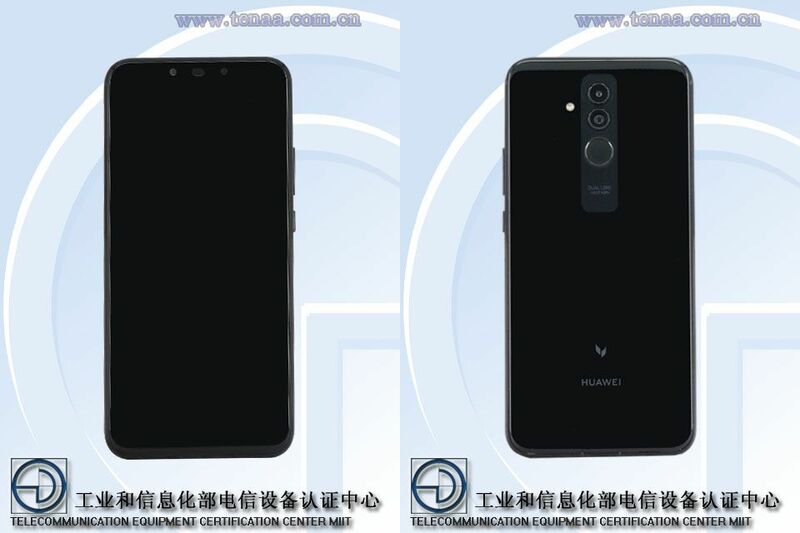 The TENAA images of the smartphone has revealed that it is equipped with dual front-facing cameras and dual rear cameras. The back panel of the phone appears like the Porsche Design Mate 10 smartphone from last year. Also, it features a notched display. This suggests that the Mate 20 and Mate 20 Pro flagship phones that will be arriving later in October will be also featuring the same notched display design. The TENAA listing of the Maimang 7 (SNE-AL00 model number) is now updated with its entire specifications. It reveals that the handset is fitted with a 6.3-inch display that produces a resolution of 2340 x 1080 pixels. This indicates that the Mate 20 Lite features a notched screen. The device measures 158.3 x 75.3 x 7.6mm and it weighs 172 grams. Besides black, there is no other color variant of the smartphone. The backside of the Maimang 7 features 20-megapixel + 2-megapixel dual camera setup and its front is fitted with 24-megapixel + 2-megapixel dual camera. The 2.2 GHz octa-core processor powers the smartphone. It is speculated that it could be fueled by Kirin 710. The other specs of the smartphone include 3,600mAh battery, 6 GB of RAM, internal storage of 64 GB and Android 8.1 Oreo.